Sales volume for Miami-Dade real estate resales – which do not include new condos – topped $1 billion in April, the Miami Association of Realtors reported last week. The total of $1.01 billion was on 2,303 total residential sales, the association reported, down 4.8% from sales volume in April 2016. That would produce a mean sales figure of $438,000-plus for all resales. The association said that said that in sales, median single-family home prices in the county were $320,000 and median condo prices were $229,000. In number of sales, single-family home resales in April increased 3.7% from April 2016 to 1,192 homes. 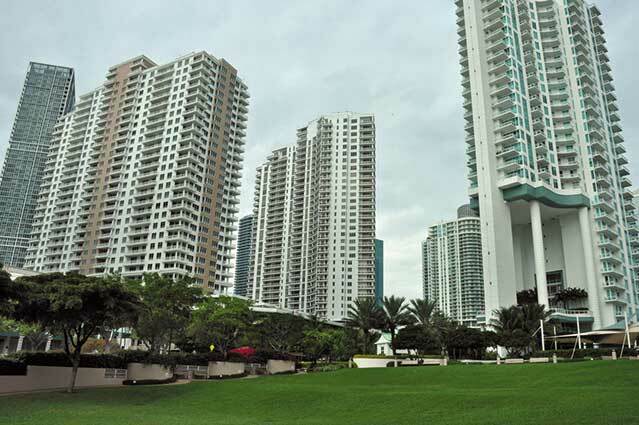 But condo resales fell 12.5% to 1,111, according to the association’s figures. Mid-market transactions are fueling the rise in Miami’s single-family home sales, the association said. Transactions for properties listed between $200,000 and $600,000 jumped 13.2% in April from April 2016 to 821 sales. Mid-market sales, the association said, account for 68.9% of all single-family home resales. Homes are lingering longer on the market, however, and condominiums linger ever longer. The average time between listing a single-family home and closing the sale was 101 days in April, up 7.4% from a year earlier. For condos, however, the time was 119 days, up 8.2% in a year. And inventories of condos on the market for resale continue to build up, increasing 9.2% over the year to a whopping 15,307 on the market. At current sales rates, this is a 13.8-month supply, clearly a buyer’s market. Single-family home inventories fell 2.2% over the year to 6,182 active listings, a 5.6-month supply.